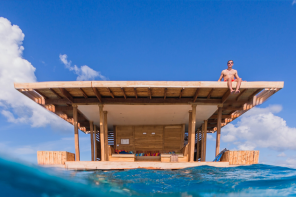 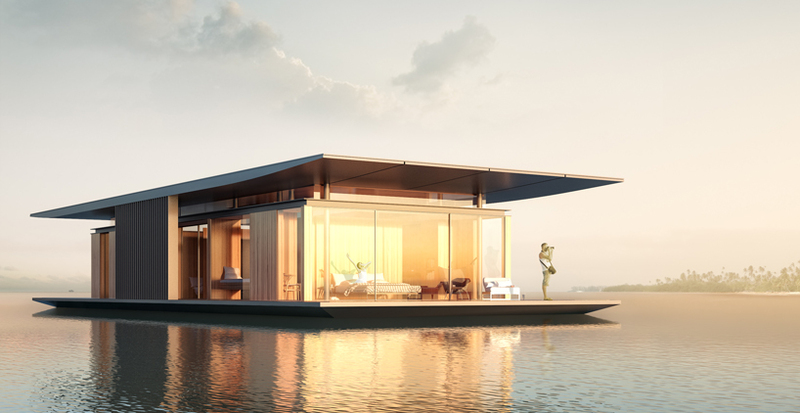 This Floating house was designed for people who appreciate freedom and nature at their doorstep. 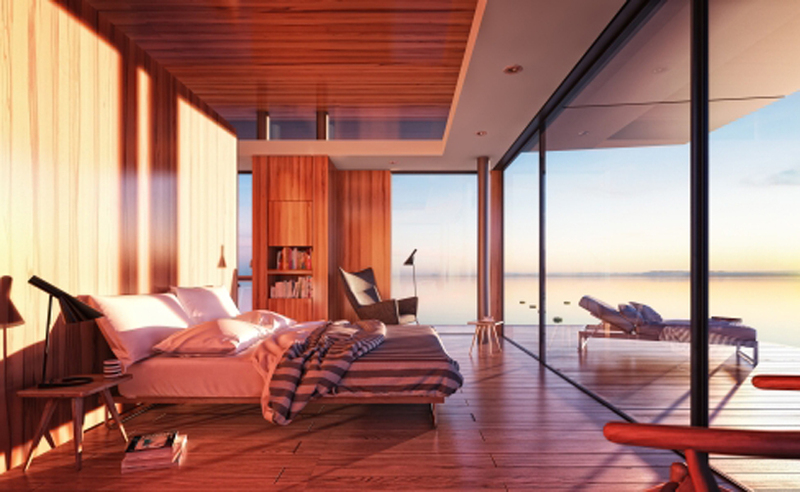 The House offers 2 luxurious bedrooms, 2 bathrooms, living room, kitchen and generous terrace. 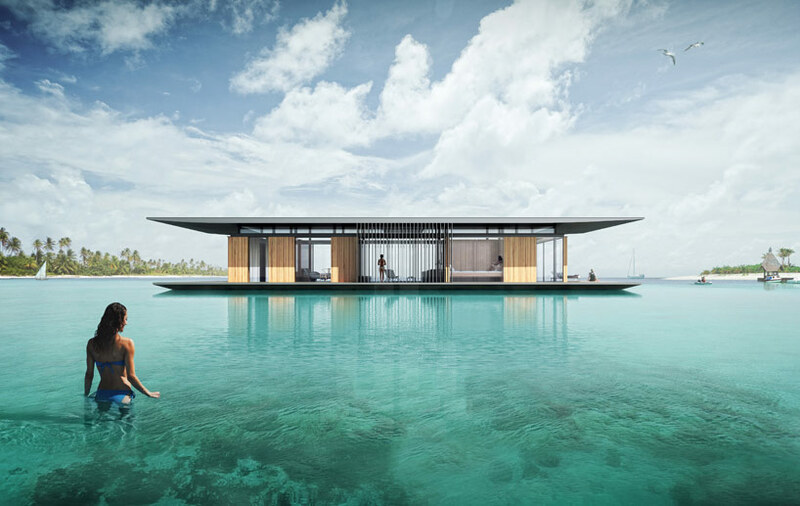 The base of the house is constructed of a floating platform, and can be easily moved from one place to another which gives great flexibility. 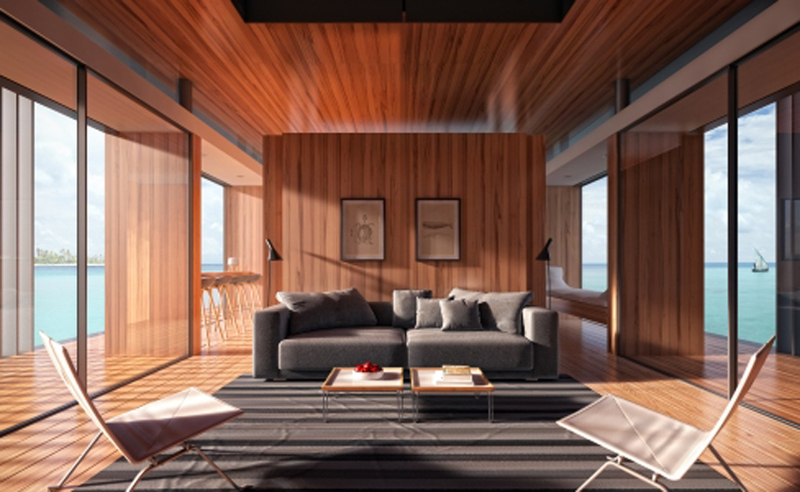 Also the internal arrangement of the house including the size, program, materials and finishes can be customized depending on a clients needs. 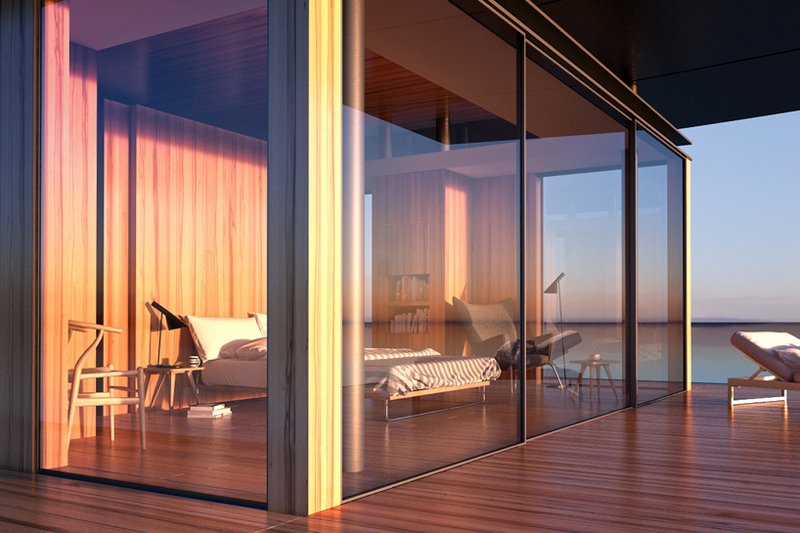 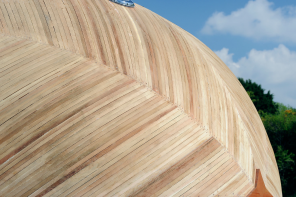 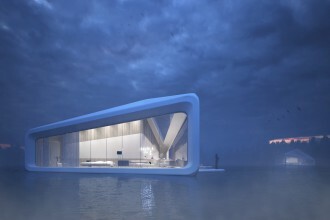 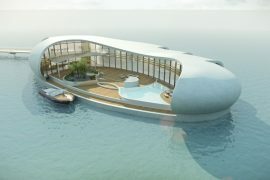 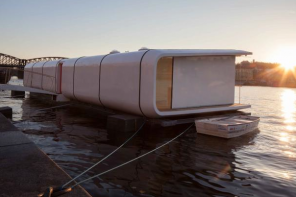 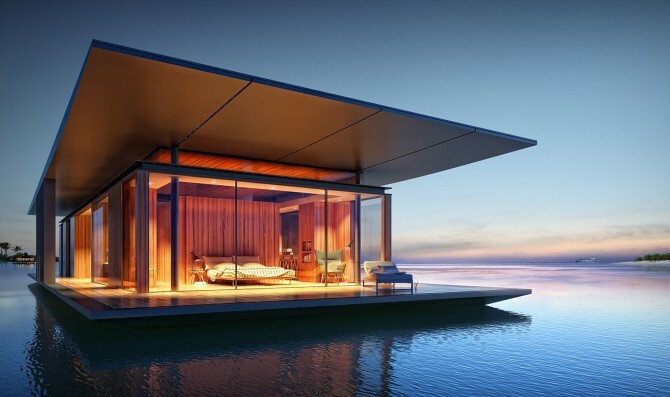 The Floating house was designed by Dymitr Malcew for French developer H20rizon specialized in floating structures. 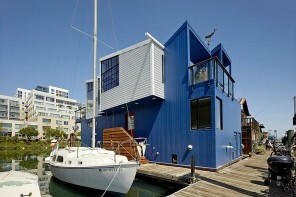 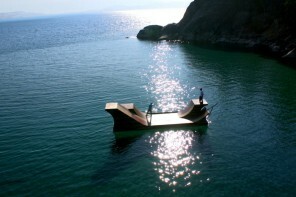 Designed by Robert Nebolon afloat on Mission Creek S.F. 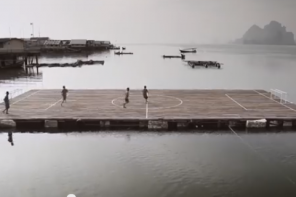 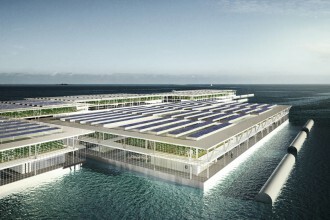 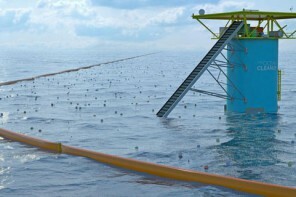 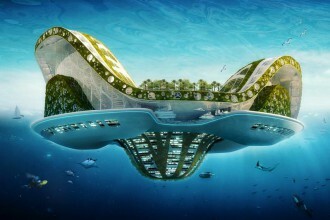 Previous articleTEDx We’re running out of land..